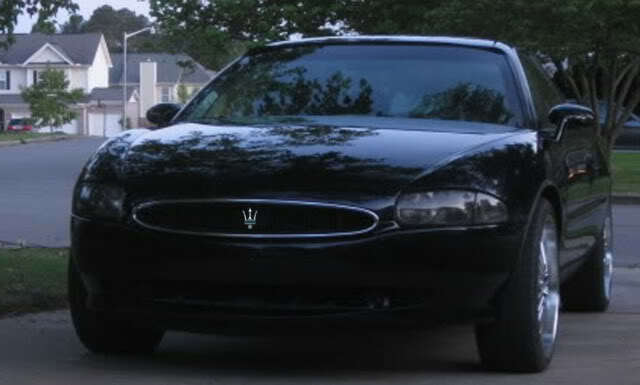 Had someone ask today if the car was a Maserati. I guess I can see some resemblance. What is the status of the interior and all the sound system and computer mod's you were doing before the body work.??? So I'm on the way home from work today when I notice in the middle of the highway a large full trash bag. I swerved to miss the bag and just when I feel relieved, the car directly in front of me suddenly changed lanes to reveal a second trash bag......I had nowhere to go and hit the bag straight on at about 70mph. It was not filled with anything heavy, however I still felt the bag hit the car. I can't even describe the language that was rolling around in my head. I got off the highway at the nearest gas station to inspect the damage. I've said it before and I'll say it again. Tommy is the man.....no cracks or chunks missing, not even a scratch. My radiator is full of debris but the bumper is perfect. How about some sort of "Batman" emblem for the grille? It wont be long till someone offers you a price you wont be able to refuse for that car. I referenced the Maserati GT and an Aston Martin, both of which had yellow as a color options, to see what my Riv would look like with a sharp sport yellow. 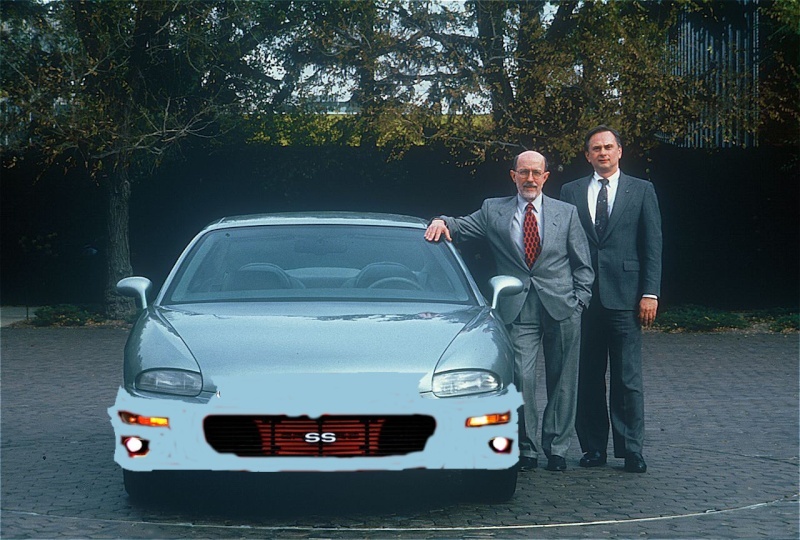 Including the Jag xk8, they all have similar Riviera-esque body styling. Some girl at the mal thought I drove a roll royce since the riv is pretty much covered in R's. Everything will be the same color. 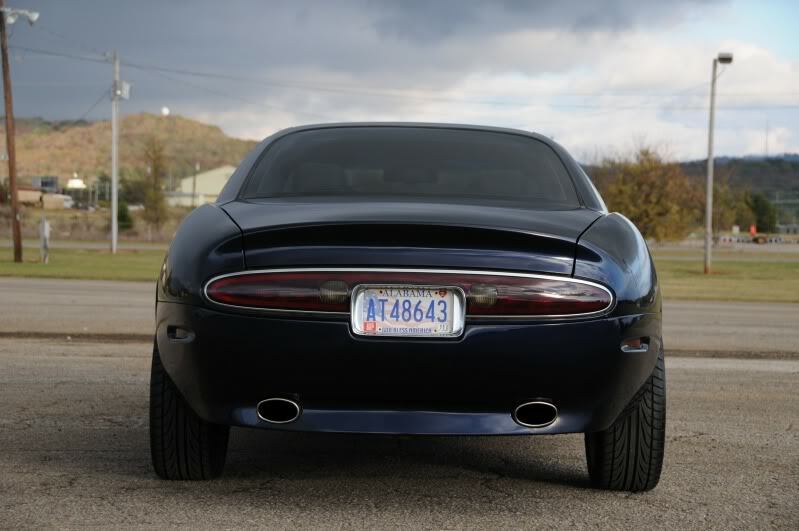 The exhaust tips and marker lights will break things up a bit. Should keep it from looking to big. Sleek, simple, and clean is the look I am after. I think what Snowdog was imagining was something more like palermocorey90's design. My tastes are with Snowdog on this. The breaking up the bumper's paint and carving out the exhaust like in Corey's design really does punctuate the form and puts more emphasis on the exhaust. Also note the difference in coverage of the rear wheels. I'd like to see the bottom just a bit wider for more coverage. something to open the front up for a heat exchanger. Maybe a 4th gen Camaro front end..? Fog lights might look cool. Edit: I put my (lack of) graphic design skills to good use.